What if we set our air conditioning based on “real world” options, instead of selecting abstract numbers for temperature and humidity. Maybe you could pick “summer on the Serengeti”. Or perhaps you’d prefer a cool Namibian evening. Well, in a way, we’re already doing that, since the aircon settings we chose can be translated into the actual locations around the world that best match those environments1. The country whose conditions most match the air conditioning settings picked in that state1. Despite being able to pick any setting on the dial, everyone chose somewhere within 25 degrees of the equator. Most even narrowed it down to Africa, where humans evolve hundreds of thousands of years ago. Humans may have migrated out of Africa, but it seems Africa never left us. Where in the world is your air conditioning set to? These results come from research by Michael Just and some colleges at North Carolina State University. Given that people can pick any temperature or humidity for their air conditioning they want, they were curious about what real-world locations we would choose to approximate1. To investigate this, they gathered the help of citizen scientists. They were given equipment and tasked with measuring the conditions within their home. Meanwhile, Just et al. broke the earth down into 0.25-degree chunks; allowing them to pinpoint where on earth our artificial indoor climates best matched the outdoor ones1. The closer to yellow, the closer to American aircon settings a place is. Black dots represent the best matches1. The use of citizen scientists did allow them to gather extremely thorough data. They didn’t just get the aircon readings, but information on the ambient humidity, temperature, vapour pressure, and more across a whole year1. The aircon column tracks the conditions in American houses, whilst the country is data from the place on earth that best matches them1. Of course, this thoroughness does come with a downside. As a result, their sample was relatively small, involving data from just 37 households. 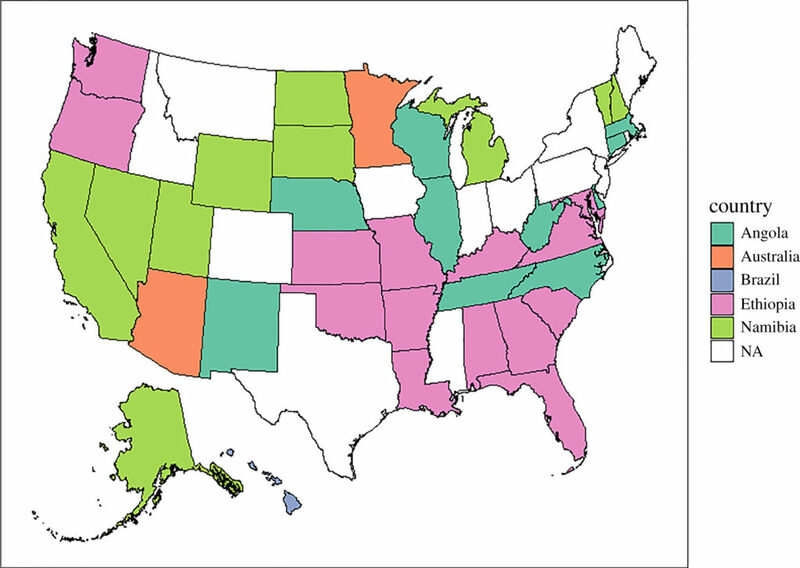 In other words, that means every state on the first map is represented by just one house1. Making broad claims about human evolution from such a small sample is dubious. So please, take what follows with a pinch of salt. Humans have long been known to do “niche construction”. Rather than adapting to our local environment, we change it to be more like what we’re already adapted too. Between fire, clothing, and other technology, we can build pretty much any environment we want. Now, we know that niche we’ve been trying to build is “Africa”. Ultimately, the reason for this preference is pretty simple. We naturally lose heat over time but can get some back from the environment. At a certain point that balances out, with us getting as much heat from the environment as we lose. For most primates, this occurs between 24-30 degrees. 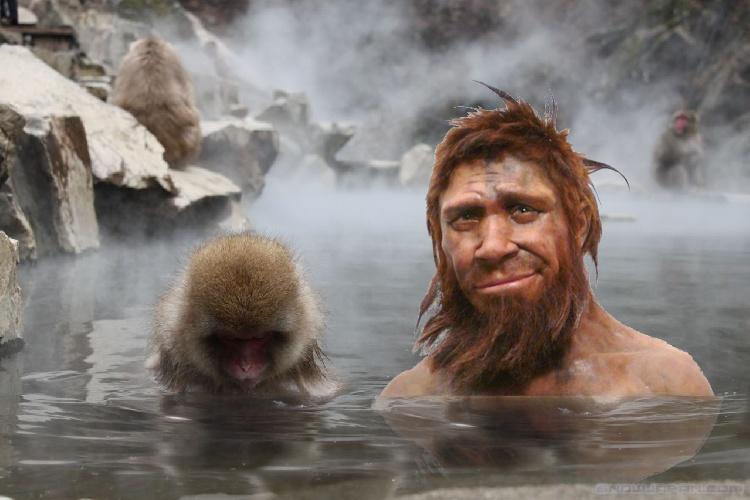 Humans, as you’ve hopefully noticed, are primates; so we seem to balance out at a similar temperature. This is what those aircon settings achieve. In other words, our biology has been shaped by our evolutionary history, influencing what we like; and driving us to use technology to achieve those conditions. What’s more, the consistency in this preference across primates means other members of our family likely had similar preferences. As such, this research isn’t just a fun fact about us. It also provides a small glimpse into the lives of our relatives. We can now know what they might look for in a home, and the problems they faced trying to make it happen. What steps may they have taken to reach that amazing 24-30 degrees? Just, M.G., Nichols, L.M. and Dunn, R.R., 2019. 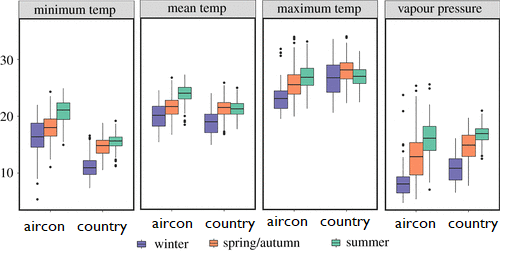 Human indoor climate preferences approximate specific geographies. Royal Society Open Science, 6(3), p.180695. Previous post: When was the chimp-human last common ancestor?